Bonio Happy Fibre Biscuits are oven baked treats which give your dog a tasty, crunchy reward that helps to keep their teeth and gums healthy. As your dog chews, the texture helps to scrape away plaque which reduces a build up of tartar. This traditionally baked treat, once called Charcoal, will be a sure fire hit with your dog. 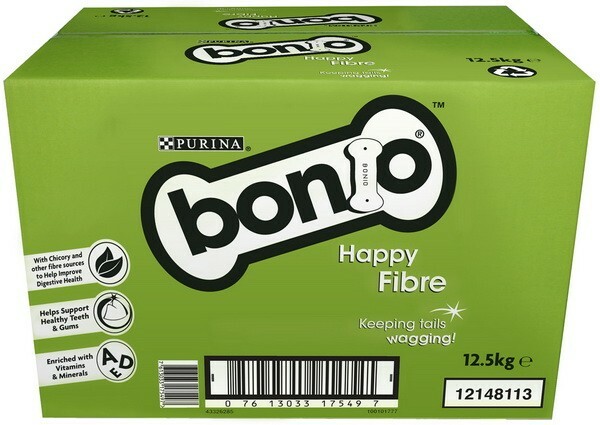 There are currently no questions for Bonio Happy Fibre (Charcoal) Dog Treats - be the first to ask one!